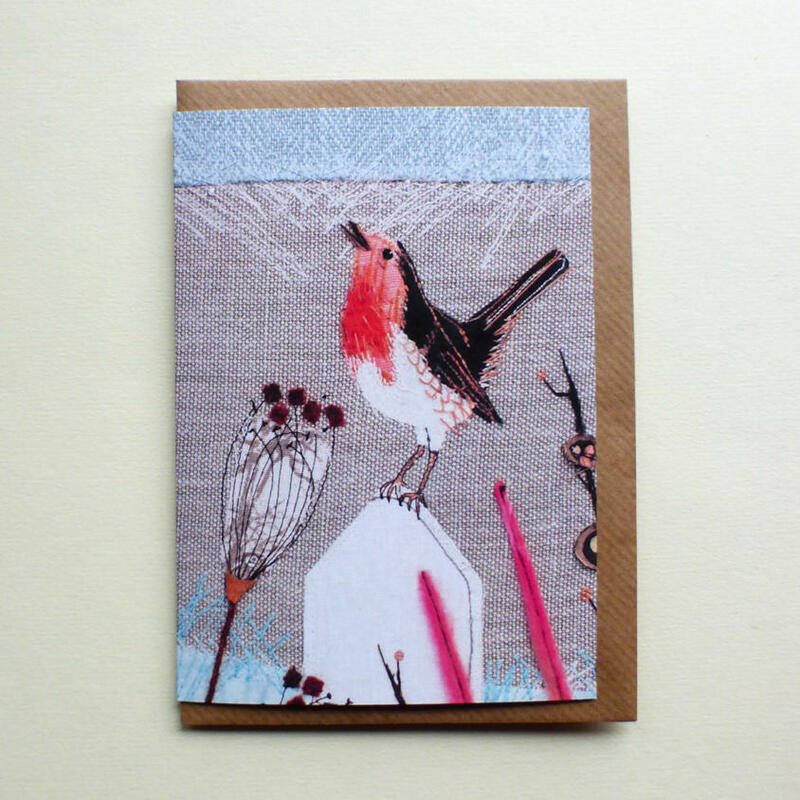 This is a print of my original, handmade robin textile piece. It is digitally printed on a high quality, 100% cotton tea towel. The tea towel measures 48 cm x 76 cm and has a white border. This printed tea towel is a work of art! Not just for drying up, why not leave the dishes and have it on display! You could stitch two little loops in the top two corners and hang it on a piece of dowel. It also makes an excellent gift. The supplier I use for my tea towels source from a single supplier where the cotton has been produced in an environmentally and ethically sound manner. The tea towels are digitally printed and use eco-friendly inks. Hemmed on the two longer sides with the shorter sides finished by the selvedge of the cloth, 5.5oz/185gsm 100% cotton.